Thanks for translating!! I love Aiba Manabu. I wish I could find more subs for them than I do. 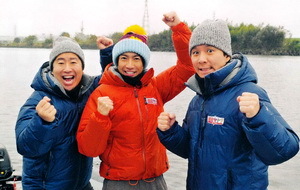 I often think Aiba especially is most fun outside of a set, if that makes sense. He always responds to what is around him and genuinely seems interested in such things. His quirky perspective sometimes comes out as well.